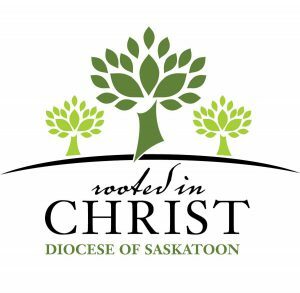 Creation of the diocese of Saskatoon was decreed by Pope Pius XI on June 9, 1933, “expedited” late in December 1933, and declared “validly erected” as a unit of the ecclesiastical province of Regina by Archbishop James C. McGuigan on the Feast of St. Joseph, March 19, 1934. The history of the church in this area predates the formation of the diocese by many years. Catholic missionaries from France accompanied the La Verendrye expedition into the northwest in the 18thcentury, and the first priests to take up residence arrived at St. Boniface (in what is now Manitoba) in 1818. In 1846, the Oblates of Mary Immaculate founded a mission at Ile-a-la-Crosse, in what is now the far northwest corner of Saskatchewan. Oblate brothers and Sisters of Charity (Grey Nuns) came to the mission and Ile-a-la-Crosse was made the seat of the vicar apostolic, with Most. Rev. Vital Justin Grandin, OMI, having pastoral charge of the far-reaching Oblate missions in the west. In 1883, the first group of settlers from Ontario, including the Catholic family of Karl Kusch, arrived at the newly founded riverside Temperance Colony of Saskatoon. During those earliest years, priests from Prince Albert and the French-Canadian missions to the north would occasionally visit Saskatoon, and sometimes the faithful would rtravel to Batorche or Duck Lake for celebration of Mass. In 1890, the vicariate-apostolic mission territory of Prince Albert was erected, taking in most of the present Saskatoon diocese and much more. Most Rev. Albert Pascal, OMI, was consecrated bishop of the new mission territory. Soon after the turn of the century, Catholics in Saskatoon began to build a church, with Fr. P.M. Guerin, OMI as the first resident chapter. A period of widespread Catholic pioneer settlement began to gather momentum at the beginning of this new century. By 1902-03, Catholic missions were already founded at Radisson and other areas east of Saskatoon. German Catholics from the Dakotas came to the Delisle, Grandora, and Vanscoy districts. Beginning in 1903 an 1904, German Catholics from the United States also settled in the newly-created St. Peter’s Colony, centred around the Benedictine Abbey established at Muenster, SK. In 1904, the French-speaking faithful at Howell (now Prud’homme) had a parish, with Catholics also moving into the Young district, around Allan and near Tessier. The year Saskatchewan became a province, 1905, also marked the arrival of German-speaking Catholics from South Russia and the United States, accompanied by German Oblates and settling in the west-central part of Saskatchewan, in the Tramping Lake district known later as St. Joseph’s Colony. Parishes and communities sprang up across what is now the Roman Catholic Diocese of Saskatoon. During the Great Depression, in spite of drought and hardship, the Catholic Church continued to grow. The diocese of Saskatoon was erected by papal bull and in April 1934, Most Rev. Gerald Murray, CSsR, formerly Bishop of Victoria, BC, was installed as the new see’s first shepherd. Check out the history of Bishop Murray and our other bishops (list in sidebar at left, or below) to continue the story of the diocese of Saskatoon. In September 1998, five Roman Catholic dioceses in Saskatchewan were amalgamated into three. A number of parish communities formerly within the diocese of Gravelbourg and the Muenster Abbacy (which were both dissolved) became part of either the diocese of Saskatoon or the archdiocese of Regina as a result of that change. The diocese of Saskatoon grew to include the western part of Gravelbourg diocese, the territory covered by the Abbacy, and a fairly large part of what formerly fell within the Regina archdiocese.